Category Archives for "Interviews & Media"
Thank you to the Alleghany Writers who invited me to speak on May 5th on “Lemons to Lemonade – How I Became A New York Times and USA TODAT Best-selling Author”. It was so wonderful to share with the group and meet a number of my readers. For those who could not make it, please watch the recording of my presentation courtesy of super reader Kathy Scott Justice. Thank you for having me as your guest – I’m honored to be here today. I write science fiction romance primarily, although I also have a series of paranormal romances set in ancient Egypt and have begun a fantasy series. I’ve always been a writer, going back to my first completed book at the age of seven, which featured princesses, cats and flying horses, and had a riverboat captain as the hero/love interest. I still have that one (self-illustrated too!) but have no plans to release it LOL. I’m going to assume we’re talking about my first published book, as you can see from the above answer that I’ve written literally my entire life. The fundamental answer is that I never can find enough books that I want to read, so I write them. 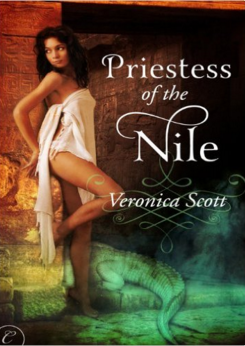 Priestess of the Nile was my first published book, from Carina Press in 2012, and I was inspired by my love of ancient Egypt, my fascination with the paranormal element of shifters – I viewed the Crocodile God, who is the hero, as being a shifter – and the fact that Carina had put out a call for ancient world romances. A few months later I self-published my first science fiction romance, Wreck of the Nebula Dream, which is loosely inspired by the Titanic sinking, but set in the far future, aboard an interstellar luxury liner. I’ve always been fascinated by anything to do with the Titanic and thought the situation made for an intriguing springboard to an action-packed scifi story with romantic elements. Anything and everything can become the germ of a story idea. My most recent book Danger in the Stars, was inspired by the idea of a kidnapped alien priestess who also happens to be a super empath, held by an interstellar crime syndicate and forced to do their bidding. 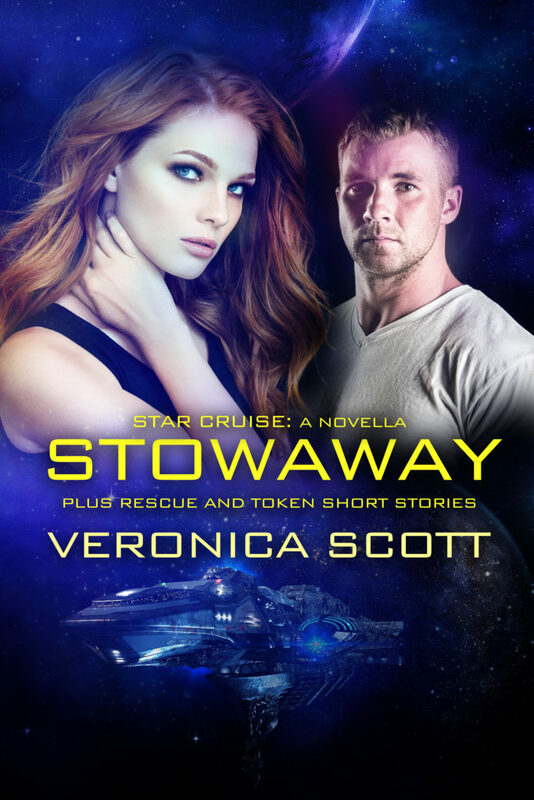 The original concept was for my novella Star Cruise: Stowaway in the ‘Pets In Space’ anthology (story now available separately). 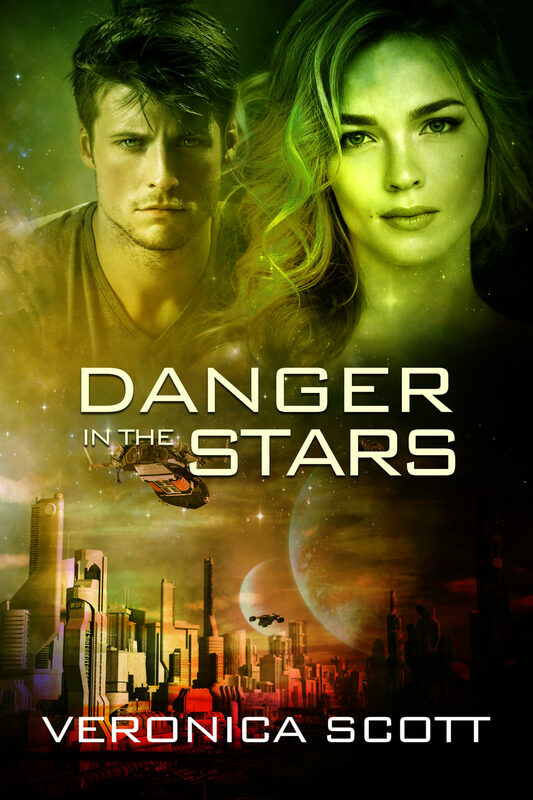 After I finished writing that story, I still had more adventures to tell, and so I wrote Danger in the Stars, which features the sister of the heroine in Stowaway. The other element of Danger which fascinated me was who could my heroine Miriell trust? Who would be her hero and love interest in a situation like that? How would they ever get free of the mob? I’m a fulltime author now, which is wonderful and I’m so appreciative of the readers who’ve bought my books and made this possible! I write in the living room, at my great grandmother’s desk, on my laptop, closely supervised by my two cats. I’m most creative in the morning so I try to get one solid writing stint in every morning before diving into the promo and social media work that an independent author needs to do these days. Although don’t let me kid you – I love being on Facebook and Twitter and talking to people so much that it can really eat up a lot of the day for me if I let it! I usually get in another hour or two of writing in the evenings, but not always. What do you think has been your biggest accomplishment? Raising my two daughters as a single Mom after their Dad was killed in a bicycle accident when they were only 3 and 5. I’m very proud of my daughters, who are now college graduates and mothers themselves. After that, I’m proud that I got my first book published and that I’ve been able to leave the day job and become a fulltime author. Which required me to write quite a few books of course – no overnight success here. And in the old day job at the NASA Jet Propulsion Laboratory I received a NASA Exceptional Service Medal for certain business process improvements and let me tell you, I’m very proud of that. What series/book did you write that has the biggest following? I think because it has the most books released (eleven to date), my Sectors SciFi Romance series has the biggest following. It’s a connected series, all in the same interstellar civilization, and most of the books are standalone. I have written a few direct sequels, however. I have a page on my website that explains my thoughts on reading order but usually it’s fine to read the books in any order. Who has influenced your writing the most? Andre Norton. As a kid, I loved her tales of interstellar adventure but I definitely felt there needed to be ROMANCE. At the time she wrote, that wasn’t the way the genre went of course. Anne McCaffrey, with her ability to create worlds like Pern, with the dragon riders. Movies like “Aliens”, with a strong heroine like Ripley, and an equally strong hero like Corporal Hicks, and the way they work together, depend on each other and respect each other. I add a lot more romance and less gore and ick factor. Of course Susan is a must buy for me! Add Nalini Singh, Patricia Briggs and Ilona Andrews. Anna Hackett and Michelle Diener are two SFR authors also high on my list. Write something every day and don’t self-edit too much on the first draft. There is no perfect on a first draft and if you self-edit too much, you can paralyze yourself. Get the words down and then you can go back and improve and expand. Try not to compare your books, your sales, your readership or anything else to any other author. Yes, we can all learn from each other, but direct comparisons can be daunting and discouraging if you let them. We’re all on our own path. There’s no one right way to go about this business of being an author. Understand it is a business, especially if you self-publish, which I do. Is there a particular niche or direction you would like to expand your writing portfolio into? Scifi romance will always be my first love, but I enjoy taking side trips to ancient Egypt and I’m really excited about the world I created for my fantasy series. I wish there was more time or that I was one of those people who could work on one novel in the morning and another novel in the afternoon. I’m so eager to tell ALL the stories, you know? But my Muse believes in writing one book at a time. Two Against the Stars is the third story in my ‘kidnapped alien empathic priestess’ set of plots. The heroine Charalle escapes the mob on her own through a fluke at the beginning of the book and then makes the difficult decision to put her safety in jeopardy to rescue a Special Forces soldier. The two of them are on the run trying to avoid the crime syndicate enforcers and find a way to save themselves, bring down the bad guys and reach that Happy Ever After ending. 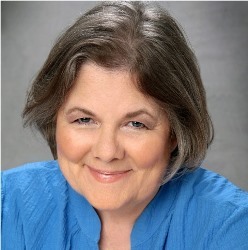 Donna McDonald and I talk about all things romance including Donna’s new series, Aliens in Kilts.